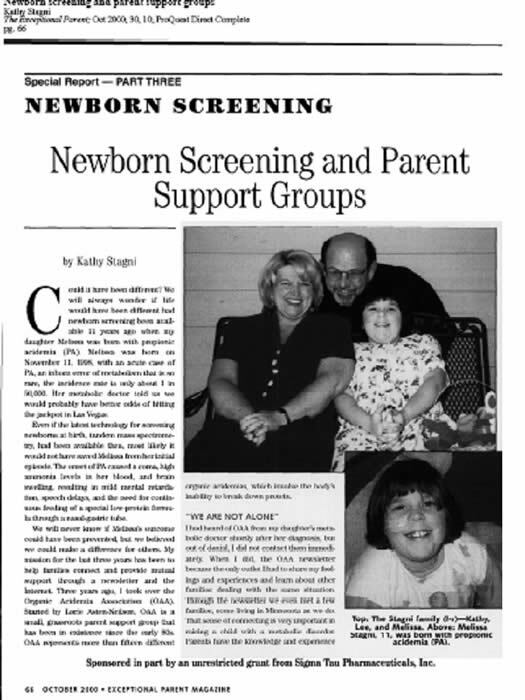 In 2004, the Maternal and Child Health Bureau of the Health Resources and Services Administration (MCHB/HRSA), Genetic Services Branch (GSB) awarded grants to establish seven Regional Genetic Service and Newborn Screening Collaborative Groups (RCs) and a National Coordinating Center (NCC) as part of on-going efforts to improve the health of children and their families by promoting the translation of genetic medicine into public health and health care services. The NCC is formed as a partnership with the GSB/MCHB/HRSA through a cooperative agreement with the American College of Medical Genetics (ACMG). The NCC is organized around a central office and an Advisory Committee. The Advisory Committee includes the seven RCs and representatives of national organizations that serve as resources to the NCC and the RCs.